St. Louis, the gloves are off as the city's most talented chefs go head-to-head in a MELTY-CHEESY-SMACKDOWN of epic proportions! YOU decide who will be named the MAC & CHEESE CHAMPION of Greater St. Louis. Can Salt + Smoke defend its title?! 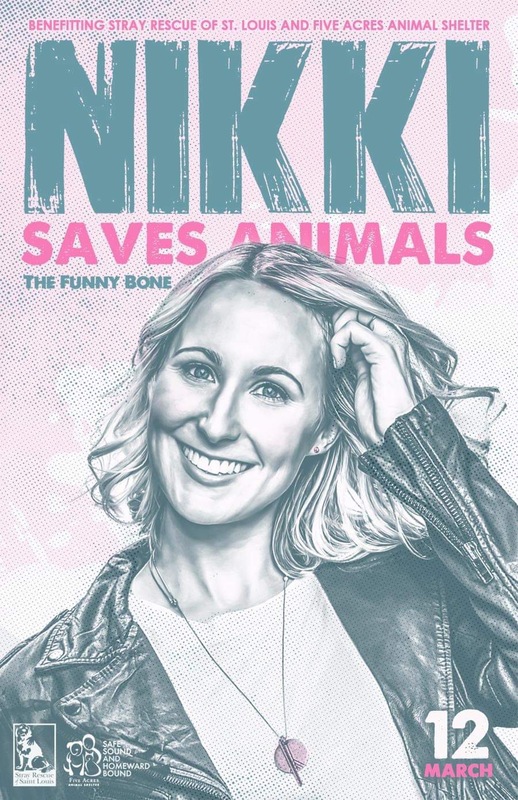 RESCUESTL will give you $5 off each General Admission ticket! 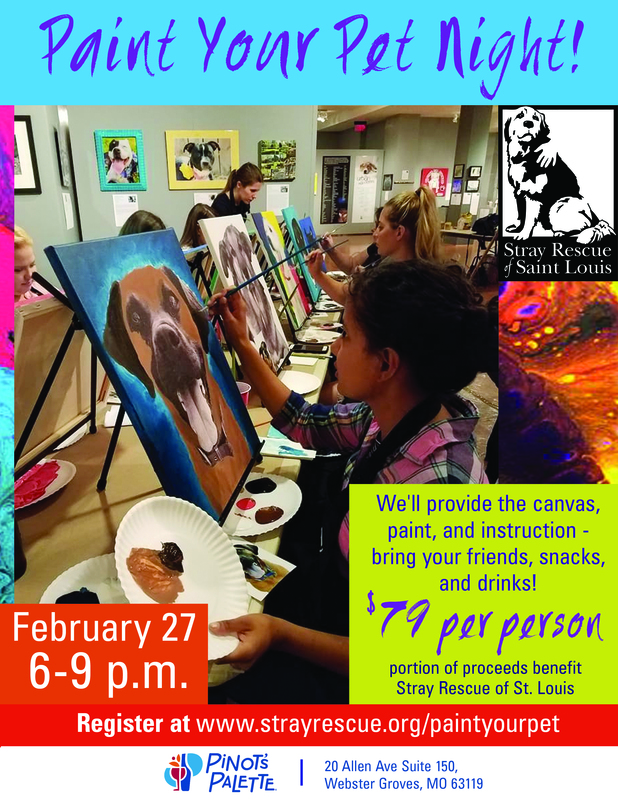 Join us on Saturday, March 23, 2019 for the 3rd Annual Mac & Cheese Throwdown STL and get your taste on! This event has sold out every year so don't wait to get your tickets. 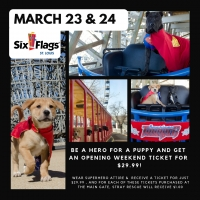 Be a hero for a puppy and get a Six Flags Opening Weekend ticket for $29.99! 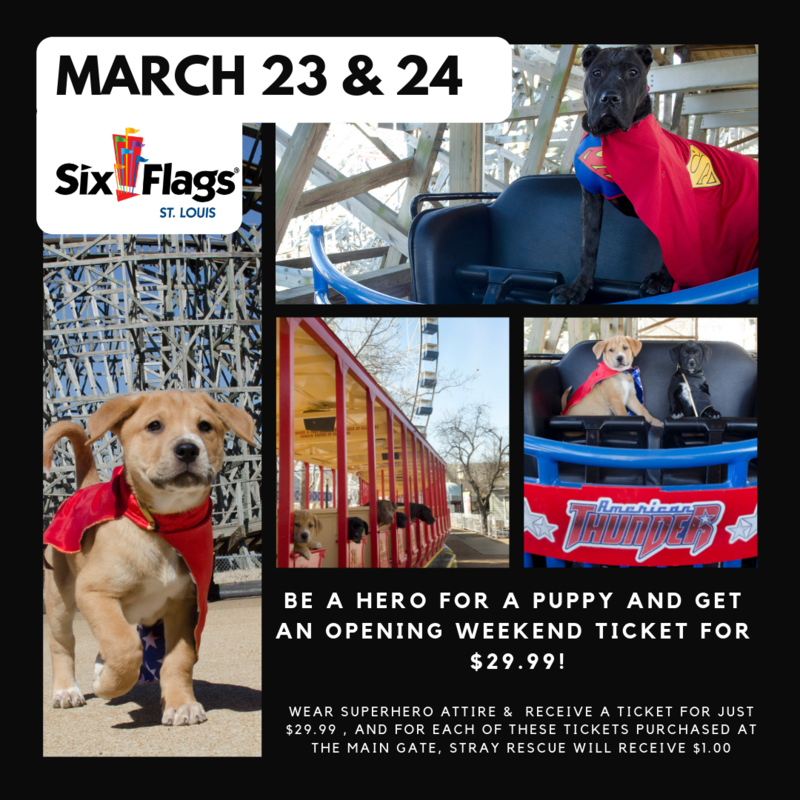 National Puppy Day is on March 23, and Six Flags is teaming up with Stray Rescue to help find homes for puppies and adult dogs alike. 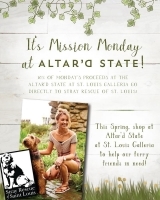 All guests who wear any superhero attire (no masks allowed) to the park on March 23 & 24 will receive a special $29.99 ticket, and for each of the specially priced tickets purchased at the main gate, we will donate $1.00 to Stray Rescue of St. Louis. 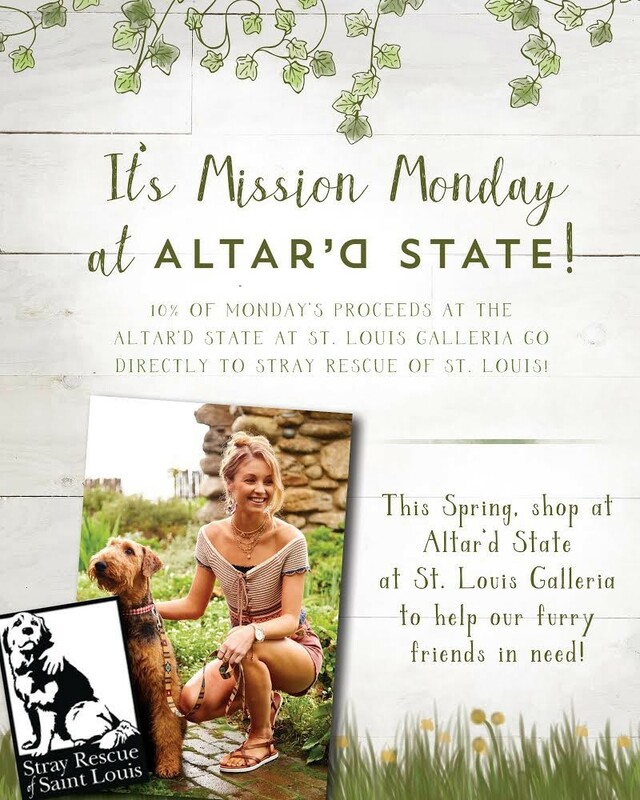 Hi-Pointe Drive In and Lux from 105.7 The Point are teaming up to support Stray Rescue of St. Louis! 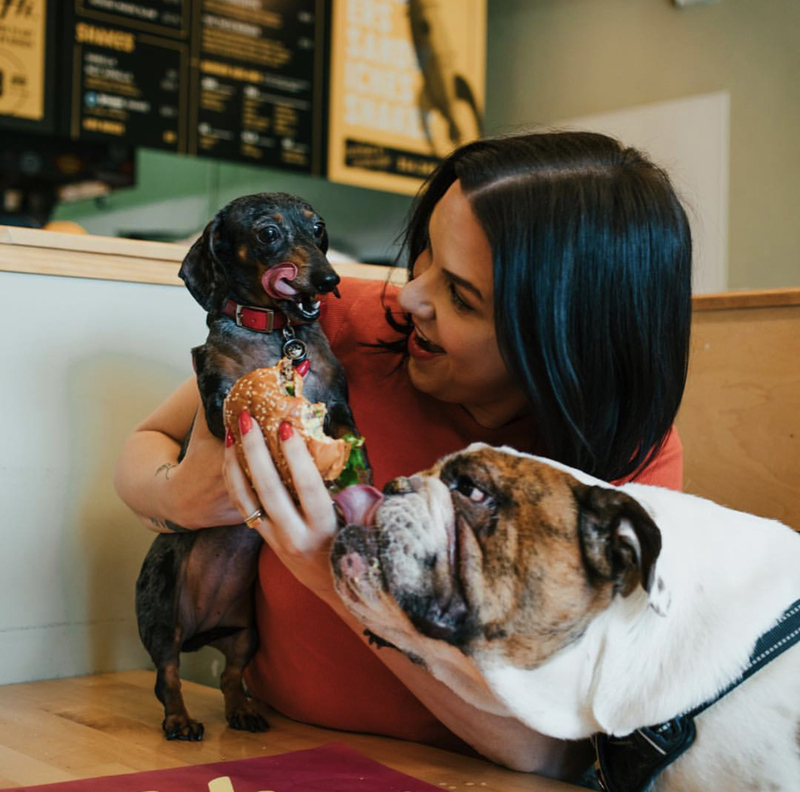 They've created the delicious Arch D-"Lux" burger, and 50% of each Arch D-Lux burger sold THIS SATURDAY (March 23rd) will go directly to Stray Rescue's Stracks Fund to provide life-saving medical treatment! YUM! 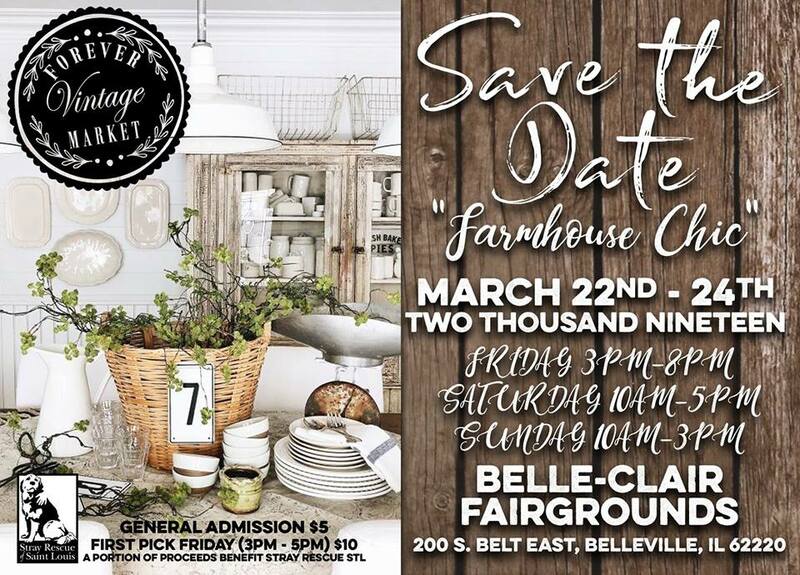 FreeForever Vintage Market is an event for collectors, treasure seekers and hunters of one of a kind vintage finds. 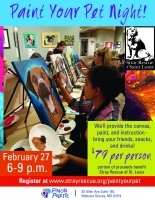 Paint a portrait of your pet at Pinot's Pallette Webster Groves. Once you sign up for the event, email us a high quality digital photo of your pet (one pet per canvas, please) and we will do the rest. Each photo will be transferred onto a 16”X20” canvas. Our talented artists will walk you through the steps to create your very own Pet Portrait!